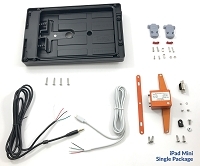 Huge Black Friday Savings on Our Popular iPad Mini Panel Mount Package! Introduced in early 2016, our new line of iFDR Panel Mounts for iPad and iPhone have become very popular for pilots and owners looking for a durable and clean solution to mount their iPad or iPhone in their instrument panel while allowing their tablets and phones to be fully removable. Now fully authorized by the FAA for installation in Part 23 aircraft and Part 27 and 29 helicopters through the new Non-Required Safety Enhancing Equipment (NORSEE) program, it's easier than ever to bring the growing functionality of the iPad to your panel for far less than a new MFD unit! Save big through December 4th on our Mount and Power package for the iPad Mini (1-4) at the lowest price we've ever offered! Only $299 - Click here to shop! With the chill of winter weather starting to be felt at airports around the Northern Hemisphere, pilots should be aware of the heightened dangers of Carbon Monoxide in their General Aviation aircraft as we start to turn on our heaters in flight. The Federal Aviation Administration (FAA) limits levels of Carbon Monoxide in cabin air to 0.005 percent or 50 parts per million (PPM) and it's effects can start to manifest at levels approaching 200 PPM. Because of this, it's critical that you have a CO detector that provides an alert at low levels to allow you the time to get back on the ground and safe when CO levels begin to rise. "But I have one of those stick-on spot CO detectors, isn't that enough?" No. Unfortunately, disposable CO detectors have lulled pilots into a false sense of security over the years, with many just sticking one on their panel and forgetting about them. If you read the fine print, most of such detectors only have a 30-60 day usable life and are highly vulnerable to contamination from aromatics like cleaners, solvents, and other chemicals. Not to mention the fact that they are incapable of detecting low levels of CO -- barely starting to turn color at 100 PPM and not changing noticeably until levels of 200 to 400 PPM is reached. At such high concentrations, you are already being incapacitated by CO. When flight safety is at stake, pilots need a better alternative like the CO detector line produced by Guardian Avionics. Guardian Avionics Produces CO Detector that Aircraft Manufacturers Trust. Since 2005, Guardian Avionics Carbon Monoxide detectors have been factory installed in all new piston-engine aircraft from Cessna, Cirrus, and Diamond. 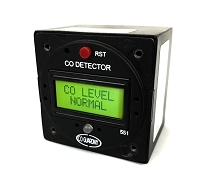 Detecting CO at concentrations as low as 25 PPM and alerting at levels above 50 PPM as recommended by the FAA, our TSO-certified panel mounted detectors give you the best protection and peace-of-mind when flying. Our most sensitive and accurate panel mounted Carbon Monoxide detectors are on sale NOW at GuardianAvionics.com -- just in time for installation during your winter annual inspection! 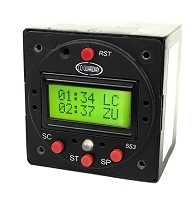 Our Aero 551 and 553 detectors will sense and report CO as low as 25 PPM and you can monitor levels in real-time with our easy-to-read digital display. Each unit has a tone generator to add an additional audio alert through your audio panel and into your headset. 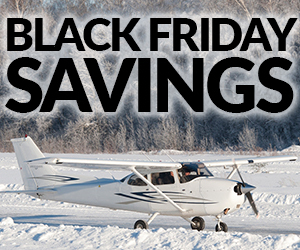 Save big on these units today!